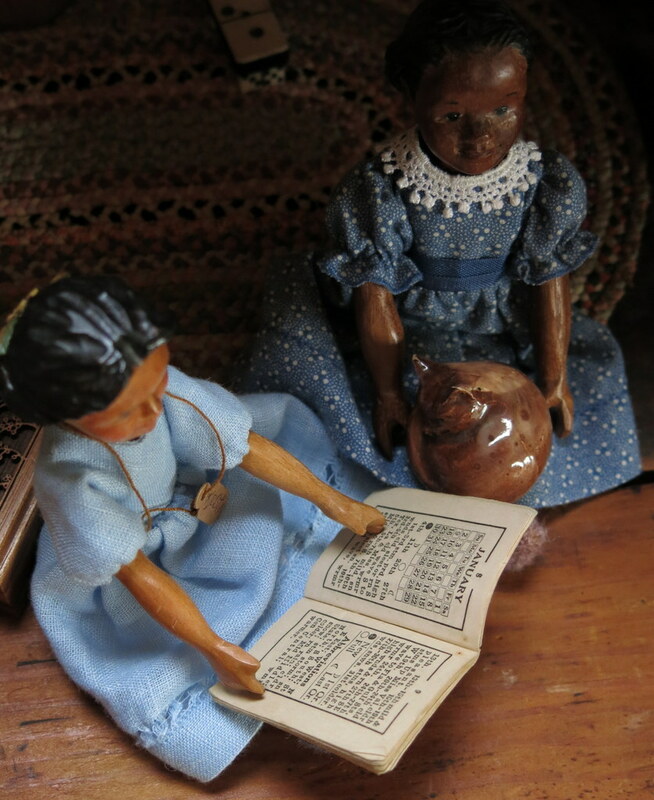 Viola and Tuesday were reading in the almanac that January would have: stm. prd, high wnds, cld, sleet or rn! Br-r-r-r-r! Luckily Rose is always ready to step in to help a chilly Hitty…. 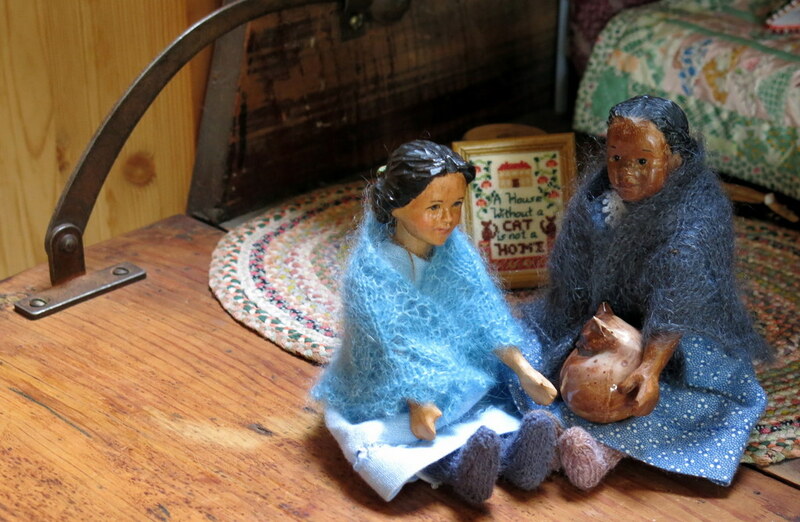 …so the girls could be cosy and warm. 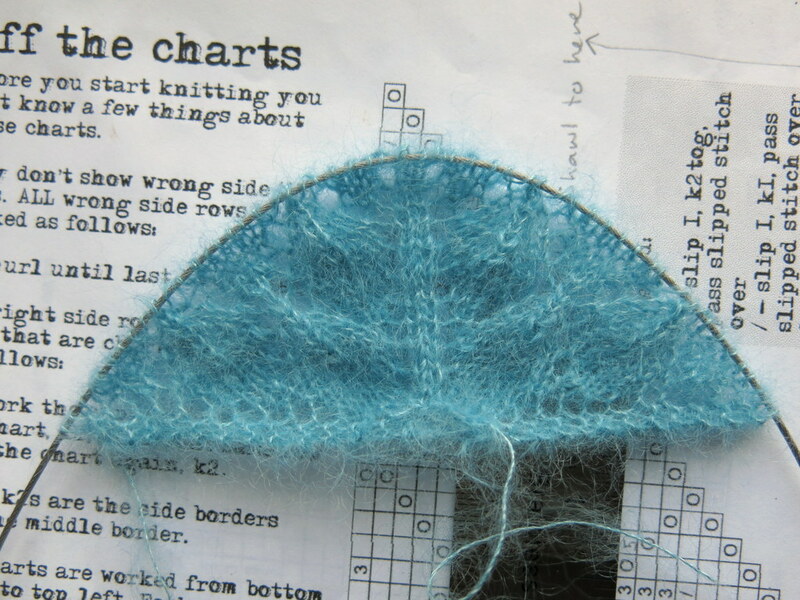 Thanks to a Hitty friend who suggested using this particular yarn to match Viola’s pretty blue linen dress. 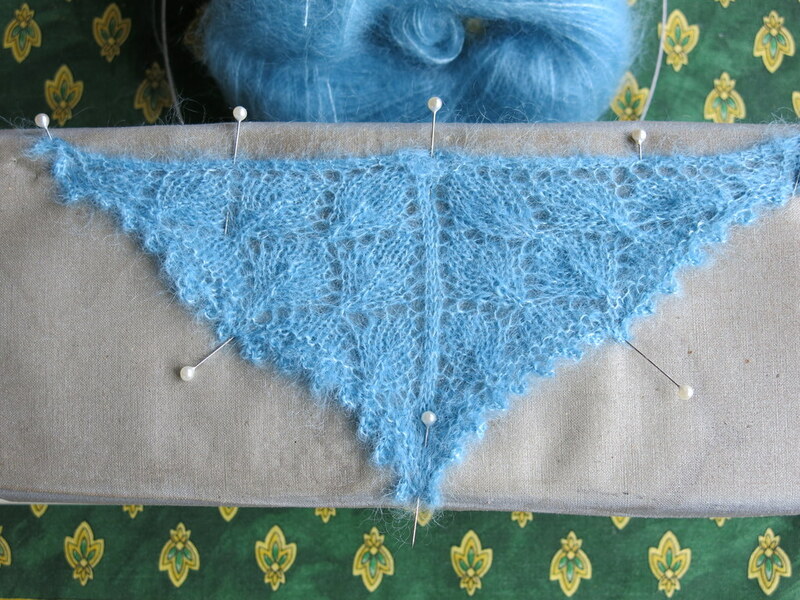 Ahhh, the blue shawl is beautiful against the blue linen dress of Viola. The QHs are so fortunate to have Rose in their midst….especially at this colder time of the year. 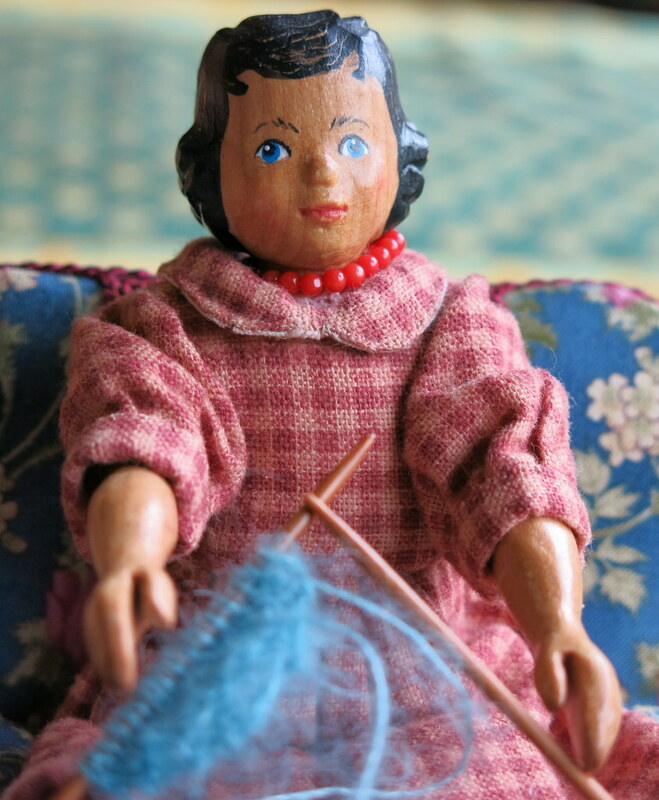 We are always glad when Rose gets knitting, and Viola was extra happy the warm fuzzy blue shawl was for her! Oh, how lovely! Lace shawls like my grandma used to make, but so much smaller. These shawls are very small from a human perspective! Rose thinks they are plenty big enough for her tiny hands, though she truly does enjoy producing them. Rose knits the most lovely clothes. These shawls are gorgeous. Perfect to cuddle up in on these cold winter days and nights. The shawls are very soft and comfortable, Rose is quite pleased at the way most of her knitting is turning out these days, though she isn’t showing you the snarl of mohair that was the first one of this batch. the girls look so warm and so stylish!! Beautiful girls in beautiful shawls! Glad they are staying warm.